Neal Munro Crafton obituary. Carnes Funeral Home. 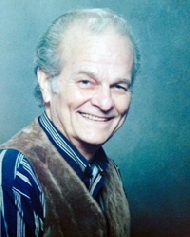 Neal Munro Crafton, 80, passed away Wednesday, August 12, 2015. He was born October 5, 1934 in Houston, TX. Neal served in the U.S. Army from 1953-1956 and was a loving husband, father and grandfather. He is preceded in death by parents, William Crafton and Marion Lorimer. Sarah and Hannah Stephens, Rachel Dolce and Emily Stone, and great-grandchildren, Tyler Puccetti and Tarah Lawson. Guests are invited to share in the Celebration of Life Visitation for Mr. Neal M. Crafton from 10:00 a.m. - 12:00 p.m. on Wednesday, August 19th, 2015 with 2:15 p.m. Interment Services to follow at Houston National Cemetery, 10410 Veteran’s Memorial Drive, Houston, TX 77038. The United States Army Honor Guard will provide Honors.